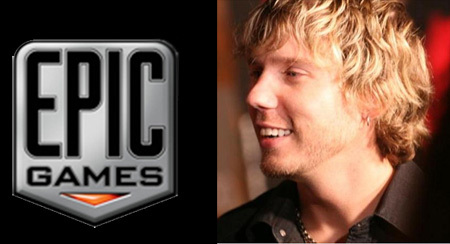 Video game maker Epic Games has been known to come for its massively popular Xbox 360 title Gears of War. Then, in an unexpected move came Gears of War for PCs. Now, in a recent interview, Epic Games’ Lead Designer Cliff “CliffyB” Bleszinki explained why Epic is focusing so intensely on development of console games. “The PC is just in disarray,” said CliffyB. He says that PC gaming simply has no room for the FPS titles his firm has come to be known for. “What’s driving the PC right now is Sims-type games and WoW and a lot of stuff that’s in a Web-based interface. You just click on it and play it. That’s the direction PC is evolving into,” CliffyB was quoted as saying. “So for me, the PC is kind of the secondary part of what we’re doing. It’s important for us, but right now, making AAA games on consoles is where we’re at,” he further explained. If you think that CliffyB and his Epic Games have a hatred for the PC platform, then you might want to consider what he said because they have a good enough reason. Bleszinki pointed out that the most crucial issue is the money to be earned via the various platforms. “I think people would rather maker a game that sells 4.5 million copies than a million and Gears of War is at 4.5 million right now on the 360,” he confidently said. The PC gaming market is huge. But, one definitely has to see the bigger picture during this day and age. Next-generation consoles are huge and defiantly have the potential to be channeled into something unexpected. This is exactly what Epic Games seems to be doing.